Romain’s passion for foil windsurfing started in 2002. Foil technology was known, and embodied by Laird Hamilton, who was the very first to ride Jaws on his surf-foil, but there was generally low interest around it. Only a few people saw any future in foiling, due to the high production costs and complexity. 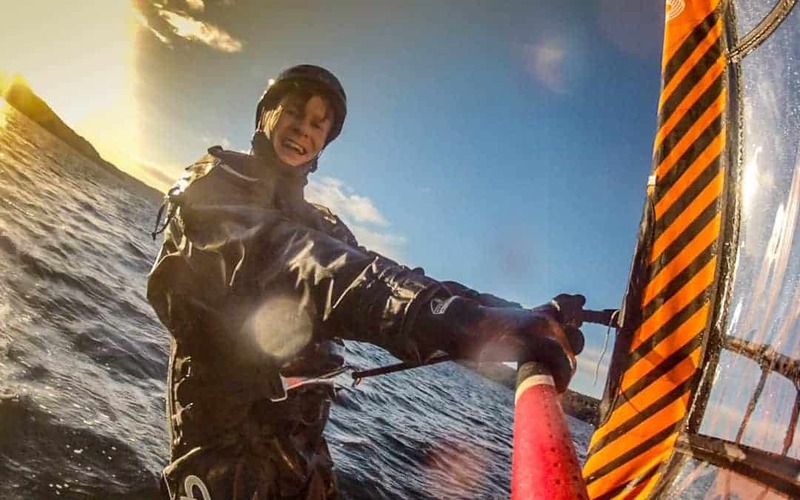 However, Romain’s brother (another windsurfing fanatic and adrenaline junkie), was fascinated by composite materials, and started to experiment on a foil project of his own. Windfoil has therefore been on the top of his mind for a long time. On windfoilzone.com, you have it all in one place – they did the digging for you. Windfoil Zone has also its own online store, and Flymount will now be part of Windfoil Zone’s assortment, together with other well-known windsurfing / windfoiling brands: Horue, Loftsails, Unifiber or Mantafoils. “Flymount is a great add-on to our portfolio, as it’s by far the best action camera mount for windfsurfing, and a tool I regularly use​ to make our product tests and reviews”, says Romain. We wish great good luck to Windfoil Zone!